Both projects will have a concession period of 29 years. 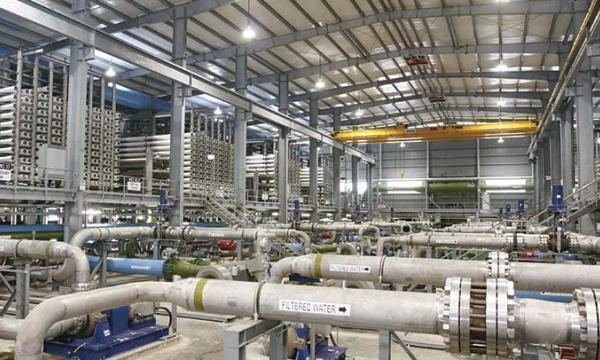 Water treatment company SIIC Environment Holdings Ltd (SIIC Environment) bagged two build-operate-transfer (BOT) wastewater projects in Jiangxi Province, China. According to a press release, the first project, Yongfeng BOT Project, will entail construction and operation of a plant with a capacity of 10,000 tonnes per day. It will have a concessionary period of 29 years from the commercial operation date. Yongfeng BOT Project has a base tariff of 39 cents (CNY1.91) per tonne. The second plant under Wanzai BOT Expansion Project will add a total design capacity of 7,500 tonnes per day to a previous phase's capacity. The project has a concessionary period of 29 years from the commercial operation date. Wanzai BOT Expansion Project has a base tariff of 52 cents (CNY2.52) per tonne.